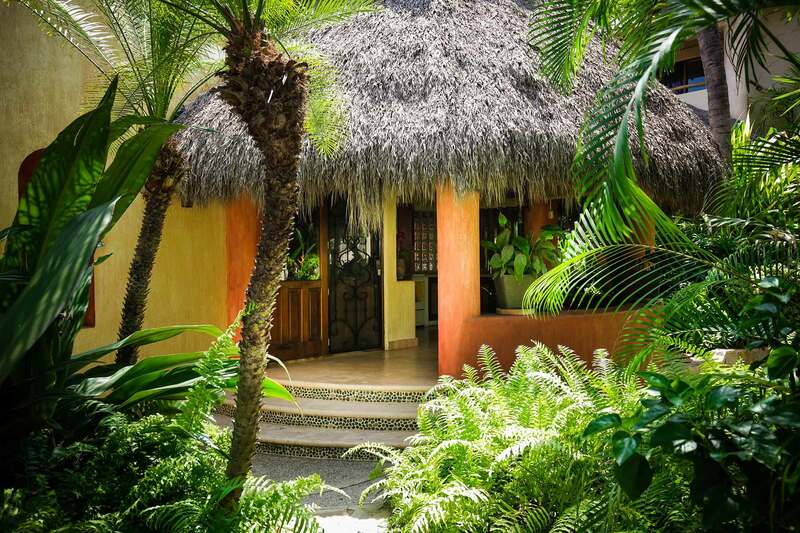 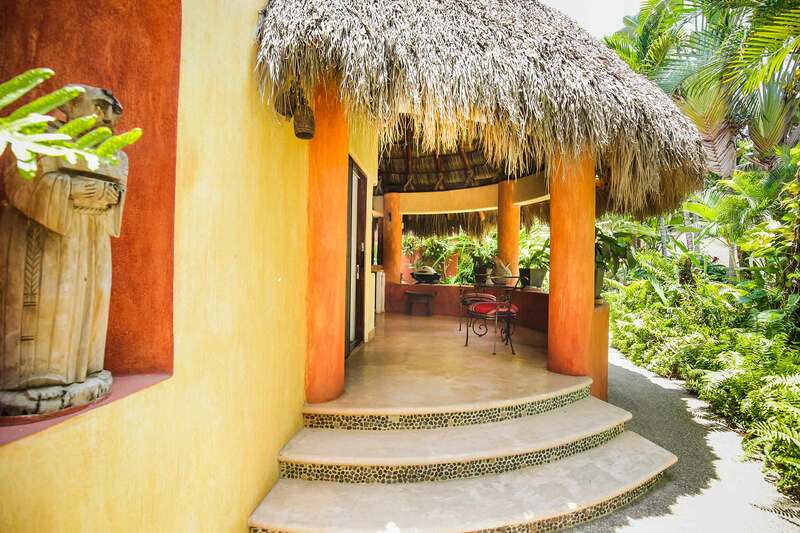 Casita San Pancho is a truly romantic, tropical casita nestled in the sought after residential area of San Pancho known as Costa Azul. 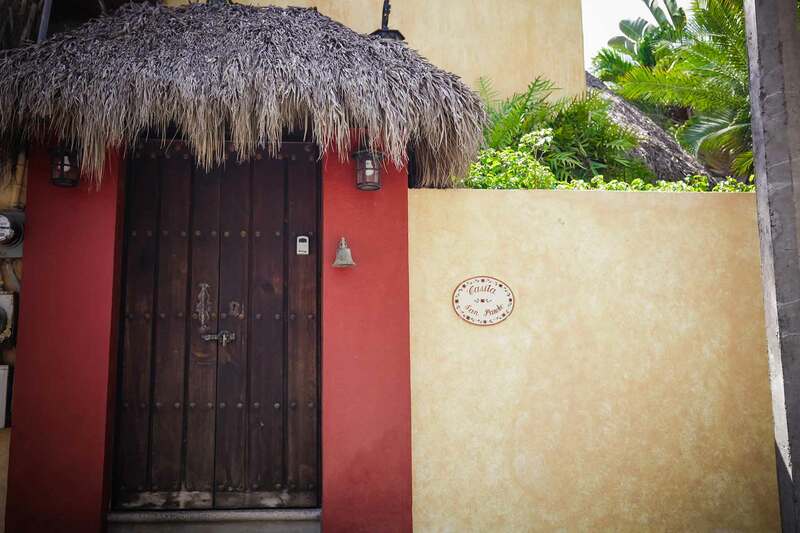 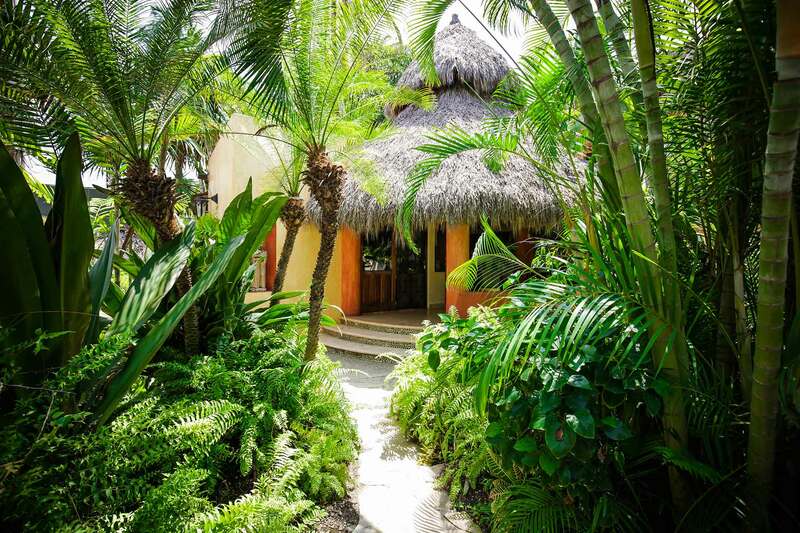 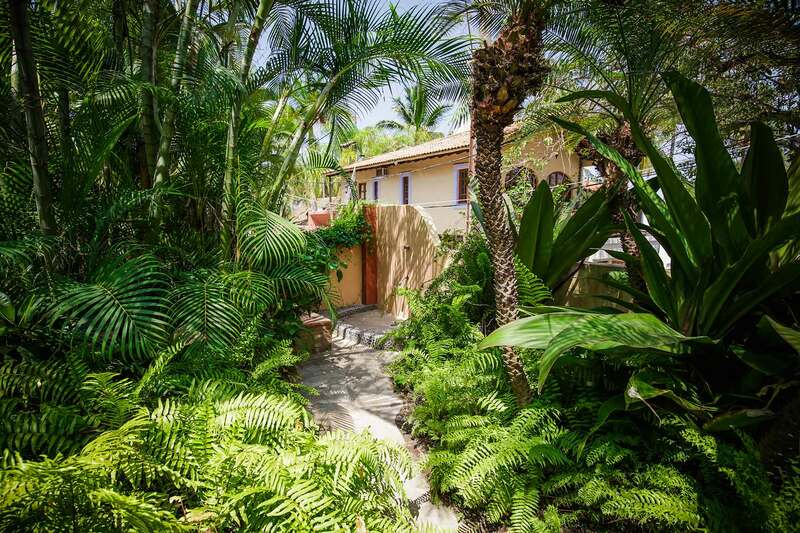 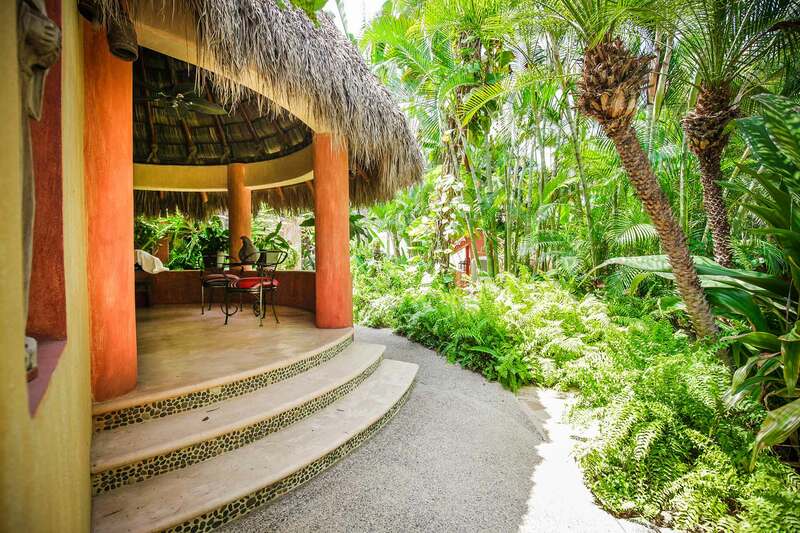 This one-bedroom cottage is conveniently located across the street from the pristine Riviera Nayarit beach and a 15 +/- minute walk to the San Pancho pueblo where one will find a wide variety of restaurants, mini grocery stores and gift shops. 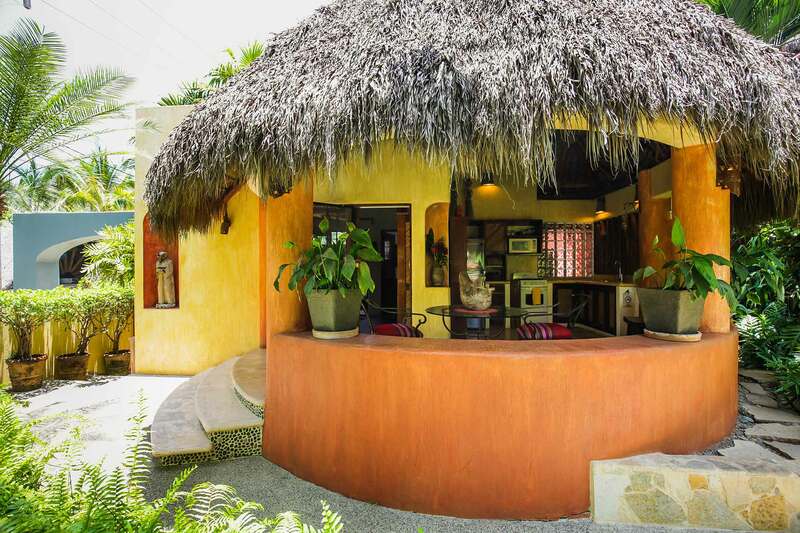 The casita, designed by the award-winning architect Luis Ruis, has an open-air full kitchen, dining area for two and an indoor garden sitting area that offers a cozy, comfortable respite at any time of the day. 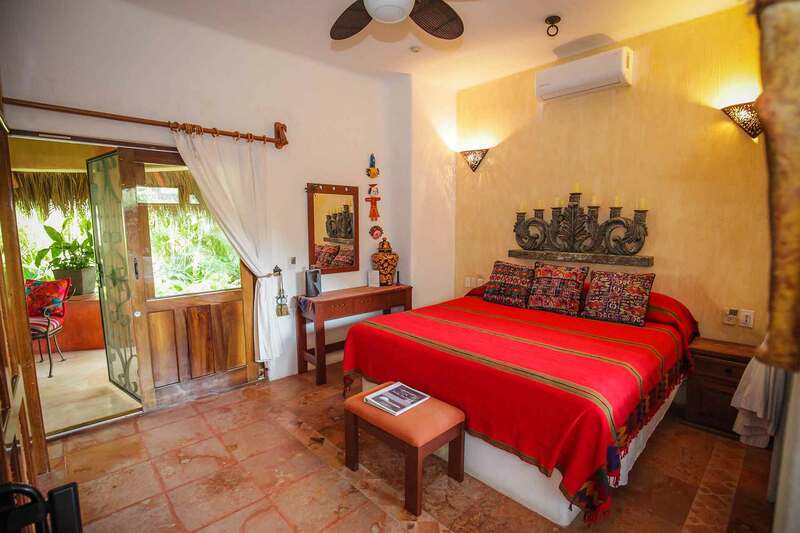 The enclosed king bedroom hosts an ample, open-air bathroom with a shower, a king size bed donned with down pillows, fine linens, Mexican décor, remote controlled air conditioner and satellite television with DVD player. 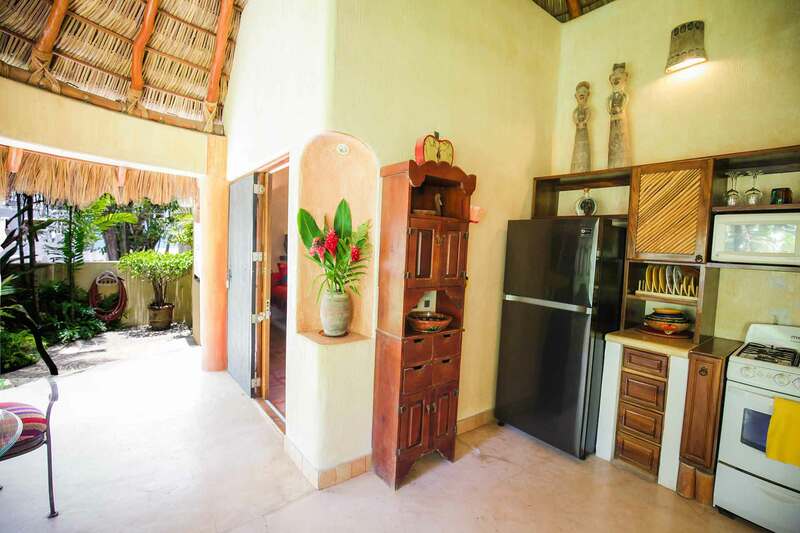 The kitchen is fully equipped to prepare a delicious meal for two or one can always take a short stroll by beach or cobblestone road to the town center to enjoy a wide variety of restaurants, from authentic breakfast and lunch places to fine evening dining or delicious street tacos. 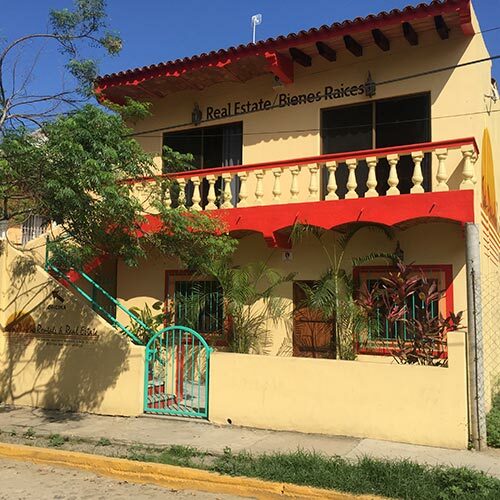 Take the beach chairs and umbrella to the main San Pancho beach access directly down and across the street from the casita. 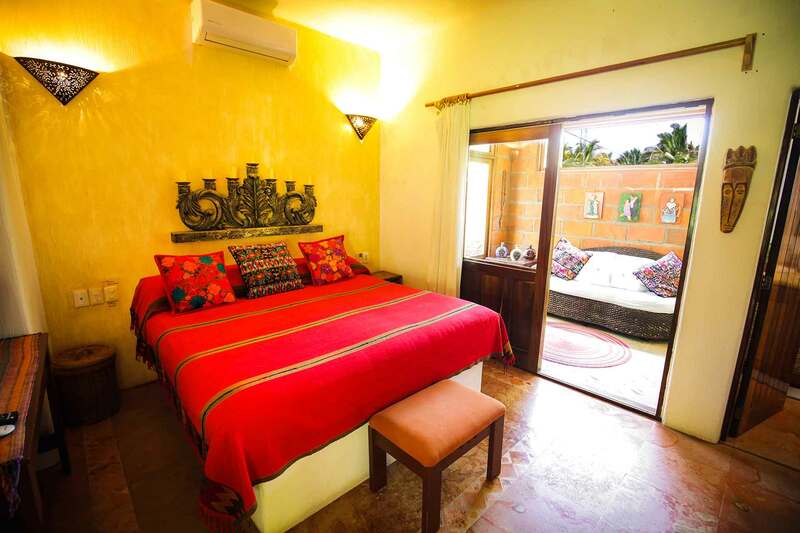 The casita is on shared property with the main house, Casa San Francisco. 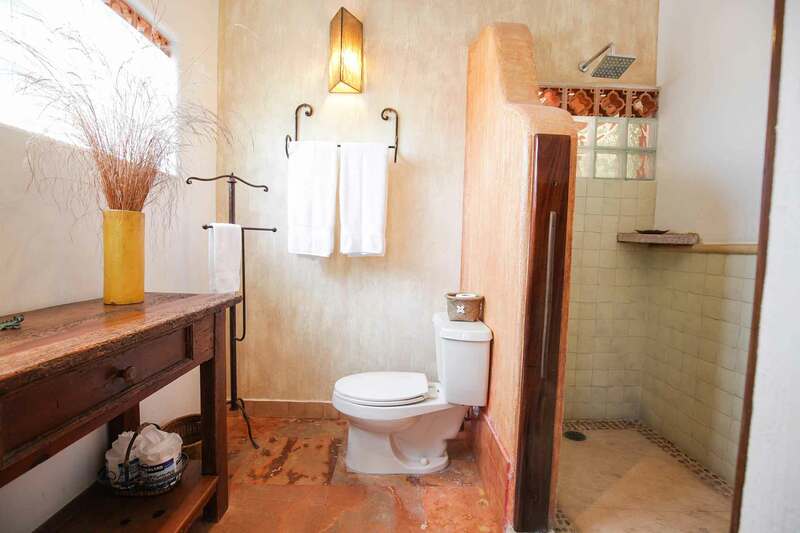 The entire property is privately walled in with completely separate locked entrances for the main house and casita. 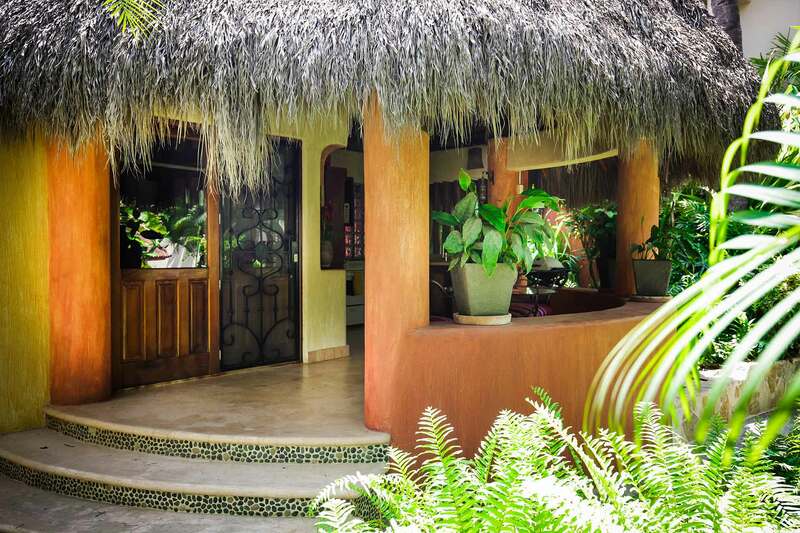 Casa San Francisco (the main villa) is an exquisite two-bedroom home located on the same property and is often occupied by the homeowners or other vacationers. 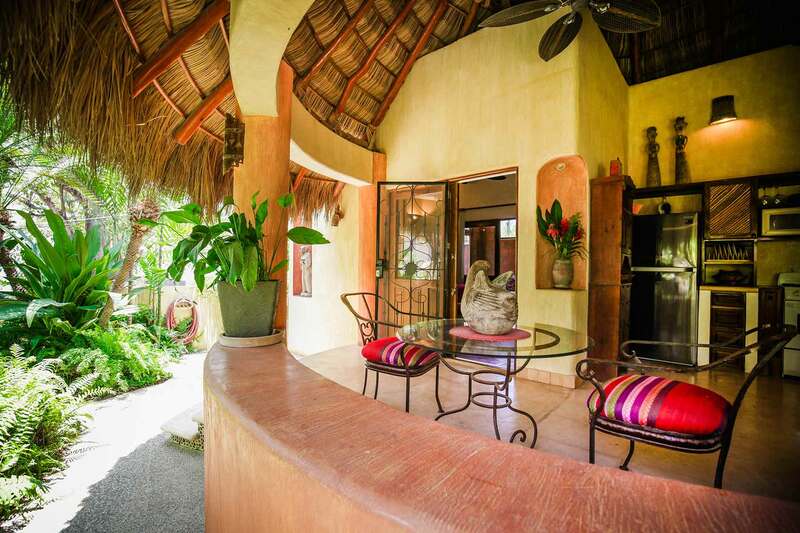 For more information regarding the main house or main house combined with the casita, see the two-bedroom Casa San Francisco and/or the three-bedroom Casa San Francisco and Casita. 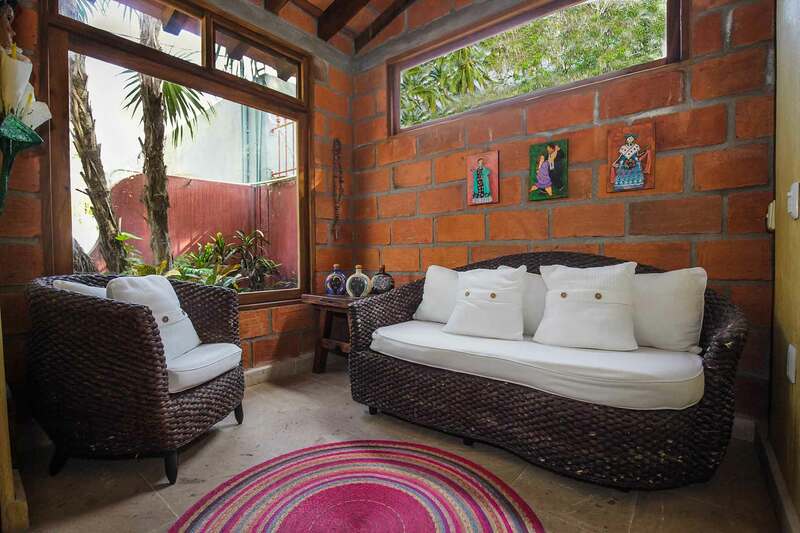  *Casita San Pancho can only be rented with the main home for holiday rentals. 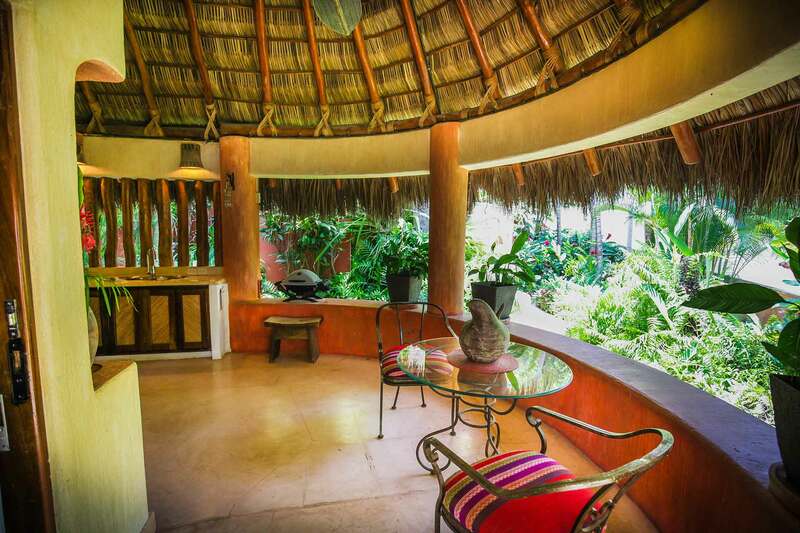 Please see the three-bedroom, Casa San Francisco & Casita.